Research by Electrical Safety First estimates there are around 4 million recalled electrical appliances still being used in UK homes and businesses. The average success rate of a product recall is just 10% to 20%. There over 1 million untraced appliances from just three product recalls by Bosch, Beko, and Hotpoint. In July 2011 Bosch issued a product recall for 632,000 dishwashers that were manufactured between 1999 and 2005. 443,000 of these still haven’t been traced. Bosch dishwashers have caused at least 410 fires. 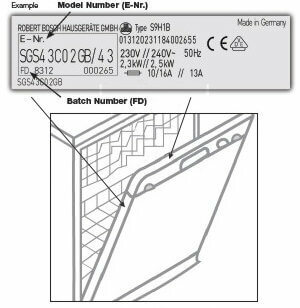 The Bosch dishwasher recall also includes models sold under the Neff and Siemens brands. All affected models have a batch number are within the range FD 7901 to FD 8504. In April 2013 Hotpoint recalled 283,000 dishwashers. Affected models are FDW20, FDW60, FDW60A. Hotpoint report that there have been at least 38 fires related to these machines. In November 2013, a further recall was issued for models DWF30, DWF31, DWF32, DWF33, DWF34, DWF35, DWF37, and DC26. In July 2014 Hotpoint announced a further recall of an additional 330,000 dishwashers. 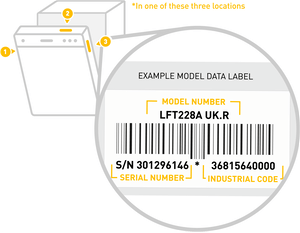 This recall affects models: FDW70, FDW75, FDW80, or FDW85A with a serial number between S/N 50401 and S/N 80531. This recall also includes dishwashers sold under the Indesit brand. In 2011 Beko recalled 492,000 fridge freezers. 294,000 of these have still not been traced. London Fire Brigade warns that they have caused dozens of fires, leading to the death of one man. This recall covers more than 37 models that were manufactured between January 2000 and October 2006. The first 2 digits of the serial number on the rating plate give the year of production. 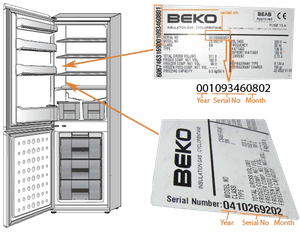 If serial number begins either: 00, 01, 02, 03, 04, 05, or 06 you should check the Beko website for further details. The reason for such low success rates is obvious. Unlike an automotive recall, where vehicle manufacturers have the ability to trace owners of affected models via the DVLA database, manufactures of electrical products do not have access to the details of current owners. A small percentage of customers may have taken the time to complete product registration forms, but otherwise a product recall is an ad hoc system of publishing notices in papers, websites and shops. Manufacturers are required to inform Trading Standards of a safety recall, who will then place the product on a reacall list, but for the consumer it is very difficult to track down a product that has been recalled. By all accounts the Trading Standards recall list is totally inadequate. As far as I can tell, it simply lists the latest 50 recalls. There is no facility to search or even view the archives, let alone filter the results by manufacturer or product type. Electrical Safety First publish a much better reacall list that can be filtered and searched. However in practice a recall list only serves as a means for a consumer to check an item that they already suspect is part of a recall, having been made aware of through other means. The Association of Manufacturers of Domestic Appliances has recently introduced an appliance registrations system. Although it relies on consumers taking the time to register their products on the system, it makes it possible for manufactures to contact consumers directly. Go to https://www.registermyappliance.org.uk/ for more information and to register your electrical products. Go to www.london-fire.gov.uk/total-recalls/what-we-are-calling-for.asp for more information on the London Fire Brigade Total Recalls Campaign.